On this page you can find a Endless Jade Sea Walkthrough. 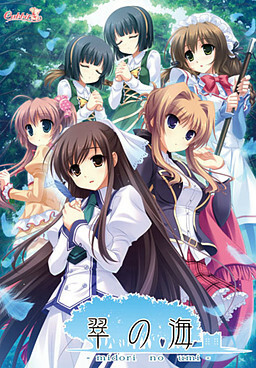 Or as the visual novel is called in full; “Endless Jade Sea -Midori no Umi-“. Originally created by Japanese company Cabbit, and released in English through SakuraGame on Steam. Endless Jade Sea has 8 heroines and many different endings. The guide below is based off this original Japanese walkthrough by foolmaker, so all credit to them. You’ll need 9 save slots, and you’ll also unlock all CGs. Though as of this writing, the gallery function does not seem to be working. The following assumes you have the 18+ patch installed, but it should also work without it. Some choices do not appear until you’ve completed specific endings before. So you can disregard any choices that do not appear for you. Life is precious. Just accept it. * It’s just an illusion. I’m too tired. * Accept everything and live here. Pursue the above result while search other roads.